Our ATV Rentals get you outdoors and on your way to having a blast riding all day. 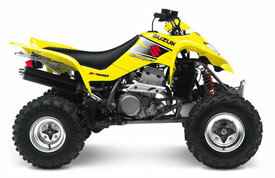 Whether you are looking for sandy dunes or a mountainous terrain we have the ATV’s that are right for that. With our pick up or delivery options, we are here to help you with whatever your needs are. Most of our extra equipment is provided free with NO hidden fees or charges. Multi day discounts are available to ensure you are getting the right deal that fits your wallet. We offer directions and maps to the most fun areas that you can take out the ATV and enjoy. Our ATV’s are designed chiefly for recreational use over roadless, rugged terrain. Any level of rider is welcome, even if you’ve never ridden an ATV, our fully trained and friendly staff will teach you everything there’s is to know about these extremely fun vehicles. All you have to worry about is hitting the accelerator and having fun. Popular off road areas where our rental equipment is used includes: Box Canyon, Four Peaks, and Crown King. Our goal at Boys Toys Rentals is to provide customers with quality rentals at an excellent price. Our staff looks over every ATV before and after every rental and makes sure that they are up to highest standards, ensuring you that you are getting the best equipment. If you have an ATV of your own, you know how much fun it can be, so let your friends know that Boys Toys Rentals is the place to get your ATV’s. Call today to make a reservation.